Is it possible to debate politics without becoming aggressive, intolerant or hostile? For many of us, politics are ingrained in our identities. That’s why debates often become heated, and even turn nasty. In a country like Colombia, with a turbulent and polarized past, it can be even harder to discuss ideological differences in a respectful way. This was certainly the case in the run-up to the country’s 2018 presidential and legislative elections. Out of the 45 million social media messages posted and shared by Colombians before the Presidential Primaries, 20% were violent, aggressive or intolerant. In a call for respectful dialogue, NIMD lent its support to the Pact for Non-Violence in Politics. This initiative, spearheaded by the National Council for Peace, aimed to put an end to violence and intolerance in politics. Signed by all the presidential candidates, and supported by 7000 Colombians in an online petition, the Pact shows that Colombia is ready to demand a way of talking about politics based on peace and tolerance. NIMD continues to advocate this spirit of tolerance and peacebuilding. Through our work in Colombia, we promote a democratic culture of reconciliation through dialogue. 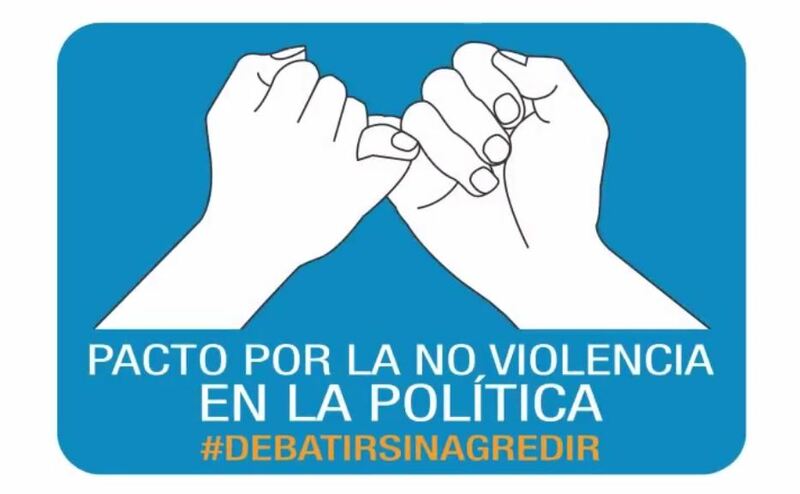 Lend your support on Twitter with #Debatirsinagredir (debate don’t attack).